Dennis Brislawn is a nationally known trust, estate and business planning attorney. Planning systems he has created are in use by attorneys throughout the nation. He is practicing attorney licensed in Washington, Oregon and Alaska. Dennis has dedicated his life to protecting life and property and is an active Search and Rescue Volunteer. He is also a gun owner who believes in safety and accountability. Gun ownership creates an awesome responsibility. A gun is a special asset that can help or hurt depending on how it’s used. Beyond that, for may gun owners a firearm represents something important, a value. So Dennis created the Gun Docx(R) gun trust system to help gun owners possess and transfer firearms lawfully. The system is used by attorneys nationwide. This is pretty significant since there appears to be at least 300 million firearms in the United States, in the hands of some 100 million Americans, and improper ownership, use, and transfer of any firearm can expose anybody to serious fines and criminal charges. Gun Docx was designed by Dennis to be the first truly comprehensive firearms-specific living trust system to protect gun owners, those they love, and their firearms. It is built for all firearms, including “conventional” firearms (handguns, rifles, shotguns), accessories and firearms regulated by the National Firearms Act. Gun Docx is a game-changer for anyone who values firearms for personal use or as part of a family legacy. Dennis’ practice is all about protecting… everyone you love and everything you own. His law firm offers a full range of services beyond estate and business planning, so Dennis is a legal resource for most client concerns. His practice is directly aimed at estate & gift tax planning, asset protection, business planning and succession, and any matter involving people and the stuff they own. He serves clients throughout Washington, Oregon, and Alaska. He is also regularly invited to co-counsel with other attorneys nationwide. Teaching the professions is something that makes Dennis stand out even among the many excellent and nationally-recognized attorneys in practice. Since 2011 Dennis has taught nationally, starting with Oddball Trusts with attorney Wendy Goffe; Gun Trusts, How Not to Shoot Yourself in the Foot in 2011 and GunDocx® Trusts in 2012 at WealthCounsel’s annual symposia, and taught Gun Trust Planning for attorneys in Washington, Arizona, and the Virginia State Bar. In 2013, Dennis is presented for attorneys in Texas, Oklahoma, and Colorado… before June! From 2013 to the present day, Dennis has been at the forefront of teaching gun law to attorneys and gun owners nationwide, both online and in person. He has taught with ATF attorneys, for various state bars, and his online continuing legal education courses are featured by Lorman, NBI, MyLawCLE, LawProCLE, WealthCounsel, and others. He has thousands of clients and an equal number of gun trust clients. Dennis contributes as a principal and author in GunLaw Community, designed to help gun owners and attorneys who serve them to explore gun laws that affect them, and to share lessons learned about lawful enjoyment of firearms. He regularly instructs firearms owners who carry concealed in how to prepare for and deal with a confrontation, including management of what happens after… and the value of planning ahead of time to avoid losing a life’s work in an instant. He is a recognizable radio personality from a decade spent hosting talk radio and as a guest on programs. He is a nationally-recognized speaker, author, and legal systems designer for WealthCounsel, LLC and its sister companies The Advisor’s Forum, LLC and ElderCounsel, LLC. He is recognized by Martindale Hubbell with an AV Peer Review Rating, ranking him top in his profession for ethical standards and professional excellence as well as on AVVO and other professional rating systems. Dennis is admitted to practice before all of the Courts of Washington, Alaska, and Oregon, the United States Federal District Court, and the Internal Revenue Service. He has been an accredited investment advisor representative and professional insurance advisor. 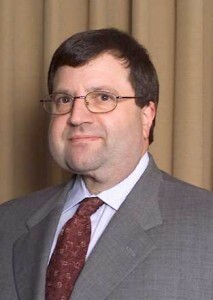 He is a principal member of WealthCounsel, LLC; Fellow, The Esperti Peterson Institute; member of the American Bar Association, the Alaska, Oregon, and Washington State Bar Associations; the Estate Planning Council of Seattle, an Accredited Estate Planner (AEP) designee of the National Association of Estate Planners & Councils and the Phi Delta Phi International Legal Fraternity. Contact Dennis Brislawn if you would like his help.